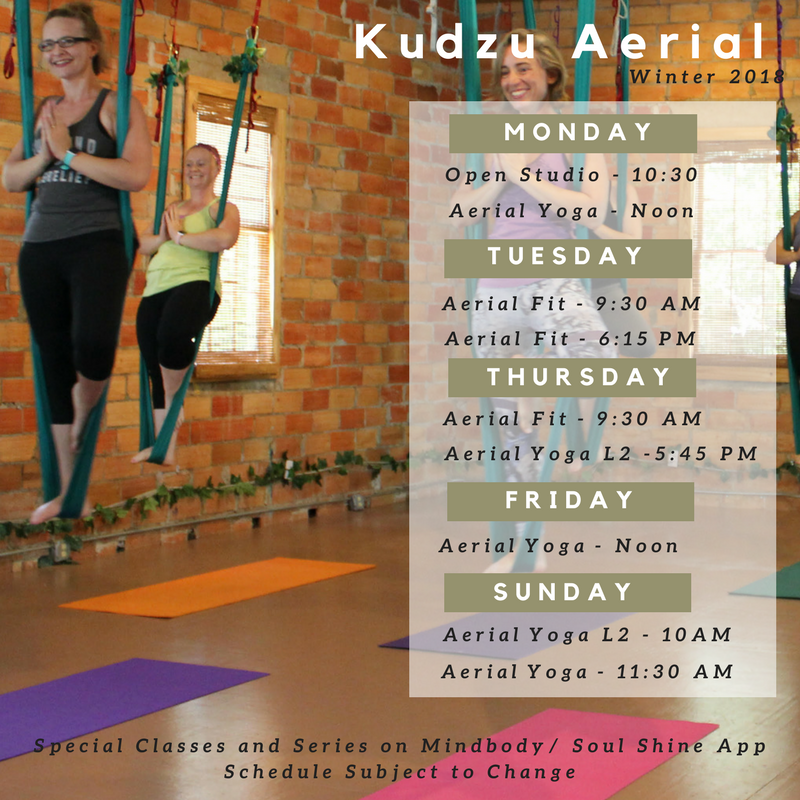 All Classes on the Kudzu Schedule are open to beginners (except for level 2), as you progress in your practice, other classes, series, and collaborations will be made available. In Depth Description: Aerial Yoga - Open Level is designed to be a class for all levels. Ideally, you have taken a few Aerial Yoga Basics classes or a yoga class, but some students like to jump right in to open level. Each class works through a specialized flow to help increase strength, flexibility, balance, and focus. Our flows offer just the right level of challenge that increases as you progress in the program. Each class ends with a cool down stretch and a relaxing savasana while you float in the Vines! Aerial Yoga - Level 2 is designed to build on the skills you have mastered in Aerial Yoga Open Level. You are familiar with the vines and are ready to progress into more challenging sequences and poses. To fully enjoy this class, you should be familiar with some of the basic postures from Aerial Yoga and feel comfortable inverting for over a minute without assistance.